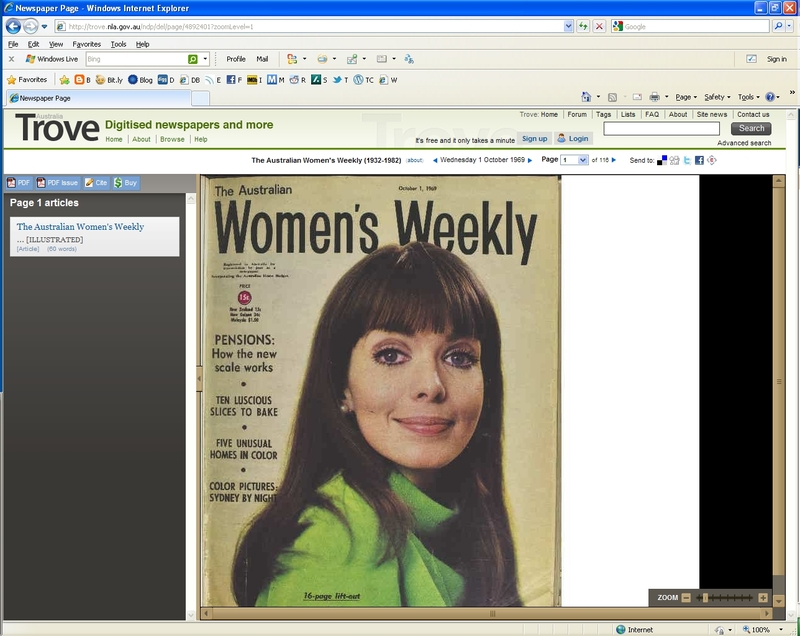 I was recently sent this link http://trove.nla.gov.au/ which is an archive of Australian multimedia content including newspapers etc. 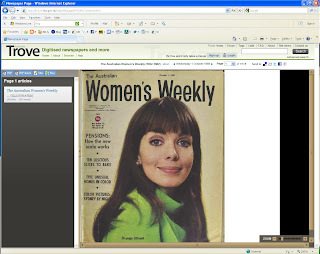 I thought cool, will check out a paper on the day i was born, unfortunately they didn't have a paper but they did have a scanned archive on the Women's Weekly from the same week. Ok here is where it gets really interesting, I was stunned with the content in comparison to today's magazines. Sure there was Celebrity glamour/fashion photos on some of the pages but they also covered some amazing article topics - fossil finds, superannuation and means testing (way more progressive than i ever thought you would find at this time), Australian tv content production values and ratios versus the USA. Sure there is the expected "international celeb pandering" etc but in depth articles about finance, science, climbing Mount Everest etc wasn't what i expected to see. I have no idea who was the driving force at the time but i guess kudos to Kerry Packer and shame on current era womens magazine editors.